The Importance of the Gray Hair in "A Rose for Emily"
If you are reading or studying "A Rose for Emily," a short story by William Faulkner, you may wonder what is the meaning of the gray hair left on the pillow. 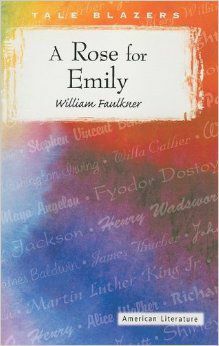 Let's first look at Emily and then what Faulkner may be using the gray hair to symbolize. In the final lines of "A Rose for Emily," by William Faulkner, we read: "Then we noticed that in the second pillow was the indentation of a head. 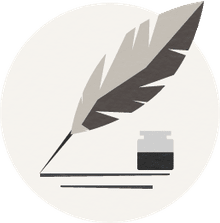 One of us lifted something from it and leaning forward, that faint and invisible dust dry and acrid in the nostrils, we saw a long strand of iron-gray hair." Character Miss Emily was a mainstay, a fixture in the community. She seemed harmless, and not worth much thought or consideration, but what was she really capable of? With all that we know about Emily's history we know how much she loved Homer (the fiance, who was going to leave her). She probably would have done anything for him. She certainly bought him a suit of clothing, and even expected that he would carry her away—perhaps rescue her, after so many others had been chased away by her overbearing father. The gray hair on the pillow indicates that she has been lying down on the bed, beside the corpse of her dead former fiance. There's also an indent in the pillow, which suggest that it wasn't a once-or-twice occurrence. Gray hair is sometimes seen as a sign of wisdom and respect. It's a sign that the person has lived a life, worth living—full of experience. The stereotype is that men become more distinguished with age (and gray hair) and women become old hags. They have the potential to become the "crazy, old cat lady" or the deranged madwoman in the attic (like Bertha, in Jane Eyre). It reminds us of the scene with Ms. Havisham in Great Expectations by Charles Dickens. Like Miss Havisham, we could see Miss Emily as "the witch of the place." With Miss Emily, there's even the terrible smell about the place and the creepy watching-from-above. The community (sheriff, neighbors, etc.) have come to see Miss Emily as a poor, jilted woman—left to molder away in her decaying house. They feel sorry for her. There's a very morbid, even ghastly aspect of this final revelation. In a sad, strange way—Miss Emily also holds a certain power over life-and-death. She refused to let her father go (when he died)—the neighbors finally talked her into allowing them to bury him. Then, she would not let the love of her life go either (first, she murdered him, and then she keeps him ever close to her, in the mysterious upper-room). We can only imagine what tragic (insane?) fantasy world that she surrounded herself in—for all those long, final years of her life. There's no way to know since she was long dead by the time they discovered the corpse. Is this another one of those short stories (like "The Monkey's Paw"), where we should all be careful what we wish for because it could come true . . . or more like The Glass Menagerie, where we are told the story of broken individuals, and then left helplessly looking on as they move about their lives (as characters on a stage). What might have altered her fate? Or was she so broken that such a break was inevitable (even expected)? They all knew she was at least a little bit crazy, though we doubt they all thought she could be capable of such a calculated act of horror. How Two Female Leads Create Conflict in "The Importance of Being Earnest"